Applesauce Pazazz is truly exceptional however it is not a very pretty apple. Advantages are that the insides are whiter than most and they do not brown as quickly as many varieties. This is especially nice since if you work quickly you do not have to add lemon juice to keep the color fresh. If you have never made it from scratch before you will be amazed and wonder why in the world not! It is very easy and can be done while you are preparing dinner. If you make it early, be sure to make extra because your spoon will be dipping into it constantly (spoken from experience!). Our Applesauce begins with Pazazz apples which are small so I cored, peeled, chopped and simmered six of them. Instead of the usual 1/2 C sugar I used only 1 TBS and the next time I make it will likely omit the sugar entirely since this varuety is so naturally sweet. You may use white or brown sugar or a little of each. In the fall, I also add a touch of cinnamon. 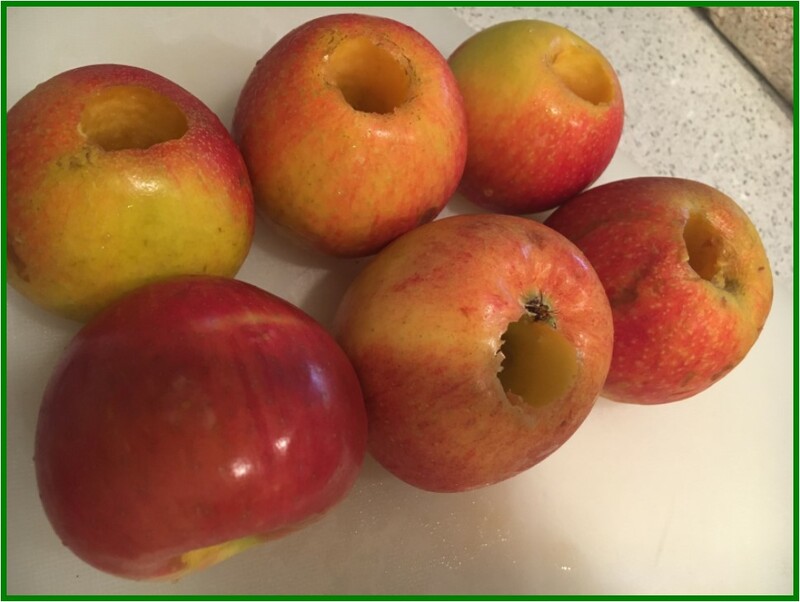 I chop the cored and peeled apples into a large dice so they will cook faster than in slices. If you have apple juice on hand add two or three Tablespoons (or add a little water) and watch carefully at the beginning of cooking so that they don't burn. After the first few minutes they start yielding their juices and burning is no longer a major factor - although do keep an eye on them. As you begin to notice the lovely fragrance, take a fork and gently pierce the simmering Apples. When they are easy to stick and feel soft, remove the pan from the burner and drain off the excess liquid. I like mine pretty dry. With the back of a fork, gently mash the apples until they are the consistency that you want. I think it's nice to leave a little of the chunkiness, but you can make it as smooth as you and your family like it. Sometimes I use an immersion blender for a very professional result. I also tried a food processor but did not care for the end result - too much like baby food for my taste. And, that's all there is to making Applesauce from scratch. However, before I get back into the kitchen I would like to mention that the type of Apple that you use will greatly impact your end result. I used to use three different varieties each time I made it - for example, a Granny Smith, a GALA and maybe a McIntosh. I also added 1/2 C of sugar. With the new very sweet varieties such as Pazazz, Rocket, Envy, Snap Dragon and others, the sweetness is natural and little or no sugar is needed for wonderful, sweet results. 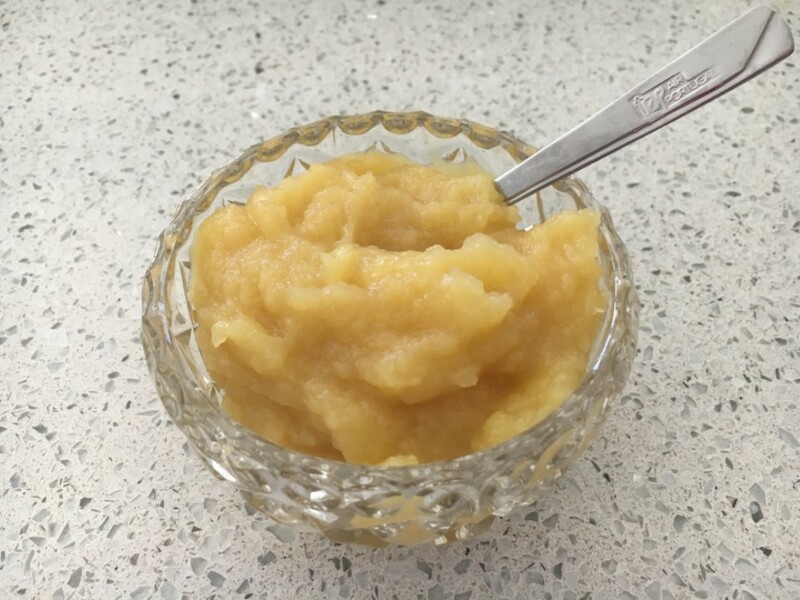 The seasonal availability does affect our choices so just be aware of the natural flavor of the apple when you are making your applesauce choices. Ask the produce manager if you are unfamiliar with a particular variety.